So You Think You Know Barbershop? This regular series is intended for music educators and others interested in knowing more about this unique vocal style. Most importantly, our goal is to provide support for musicians and constructive solutions for singers. 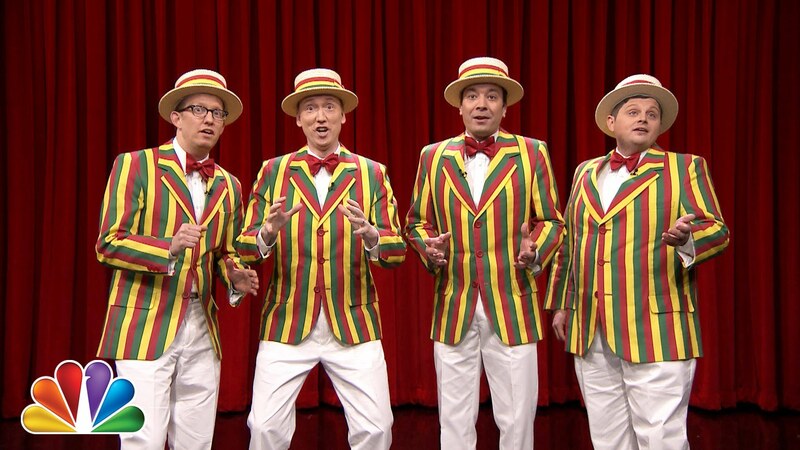 Admit it: the go-to image in your mind of barbershop music is four guys in striped vests and boater hats. 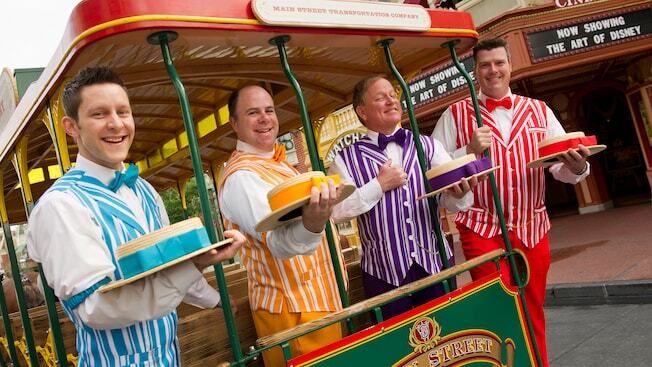 From the Dapper Dans serenading Disney World park attendees to Jimmy Fallon’s Ragtime Gals juxtaposing off-color pop songs with the squeaky-clean image of the barbershop quartet, the notion of the barbershop singers certainly is iconic. But barbershop is so much more than that! Barbershop is an American form of a cappella singing that has African American roots and jazz flavorings. It includes turn-of-the-century Americana melodies, the Tin Pan Alley oeuvre, and jazz standards. 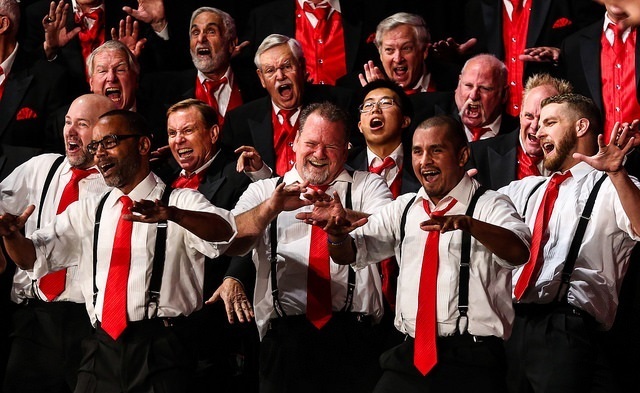 But barbershop singers have always sung the music of their day, so it shouldn’t surprise you to hear tunes like Maroon 5’s “Sugar” or Estelle’s “American Boy” covered in this fun, accessible style. 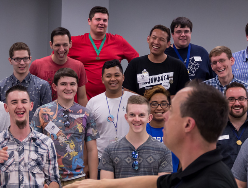 Barbershop is a rewarding genre of music that is accessible for beginning students, but can also provide a enjoyable challenge for accomplished singers, notwithstanding the combination of voice parts in your vocal groups. 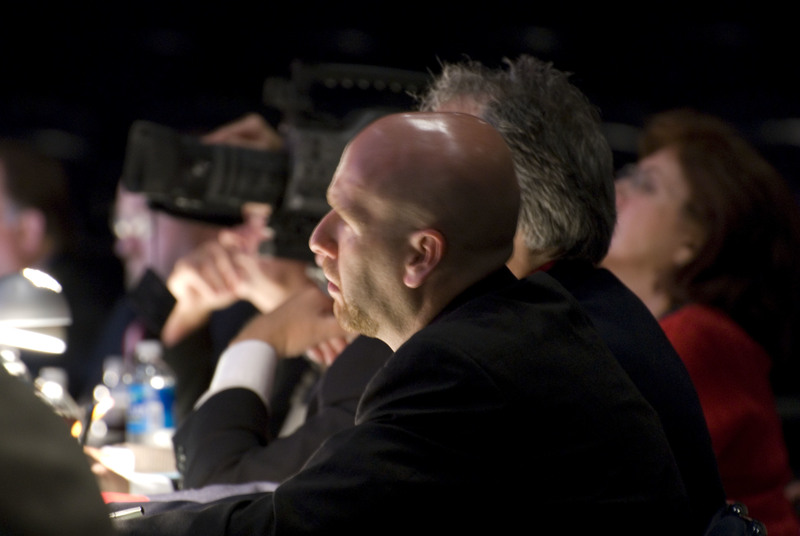 Barbershop singing emphasizes proper vocal technique; in fact, there is no barbershop-specific singing technique. Good singing is good singing, and barbershop asks for that. Barbershop can help you build strong musicians. It teaches ear training, sight singing, harmonization, and ensemble skills like balance and tuning. Try teaching a tag during your classroom warm-ups. A tag is the term used in jazz and barbershop that means the coda of a song; it typically is just a few measures and has a flourish of chord changes. This opportunity allows one to focus on vowel unification and intervallic relationships found in just intonation. For a challenge, give an accessible song like Auld Lang Syne or Love Me Tender (Aura Lee) to a foursome and let them teach themselves. These free charts also work great as Solo and Ensemble pieces (check your local state requirements). 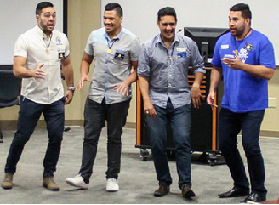 One important emphasis that barbershop teaches is the art of heartfelt performance, as this quartet demonstrates. There are many opportunities for your students to become involved. Check out the many resources for youth outreach available: quartet contests, chorus festivals, camps, educational resources, scholarships, and more! Listen to men sing in a quartet or in a chorus; experience women singing excellent barbershop in a quartet or in a chorus. 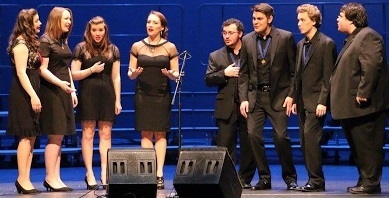 Barbershop singing is also for mixed quartets and choruses. If you haven’t taken a look at barbershop recently, take a look it now! 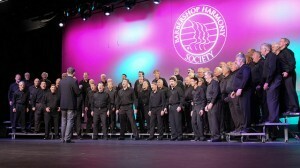 For questions about how to effectively use barbershop in your music classrooms, contact Steve Scott, Music Education Specialist for the Barbershop Harmony Society: harmonyu@barbershop.org. Picture 1: Dapper Dans of Main Street, USA and Ragtime Gals. Picture 4: The Ladies, SAI 2016 Rising Star Champions and Pratt Street Power BHS 2016 international youth quartet champion.